Edwalton Plumbing & Heating are a small family run business and have been in the plumbing and heating trade since 1989. All our workers are fully trained in their own areas of expertise. 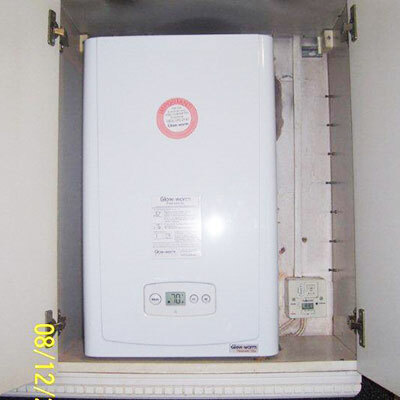 If you want a full boiler and heating installation or just a Landlords Gas Safety certificate. 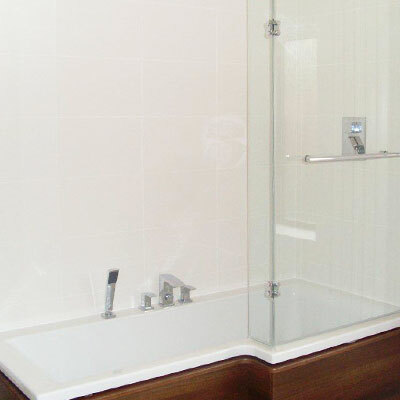 A full bathroom re-fit with tiling or just a basin tap replacement. 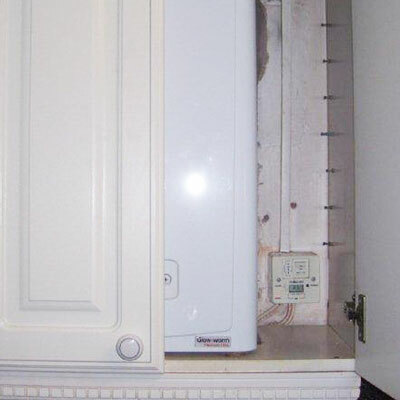 All types of domestic plumbing, heating, gas work undertaken. Burst pipes, broken down boilers, outside tap installation, blocked plumbing, bath replacement, tiling, in fact almost any kind of plumbing work you may need. Fully Gas Safe Registered, no job is too small. Emergency call-out. We are based in West Bridgford but all Nottingham area’s covered. We pride ourselves with our great customer relations and all jobs we carry out comply with Benchmark, building and gas regulations. All jobs are left clean and tidy on completion so keeping the customer satisfied. Give us a call or email us for an appointment or call out to speak to you. All details on contact page. Old boiler out and new boiler in. Kept hidden in Kitchen cupboard. 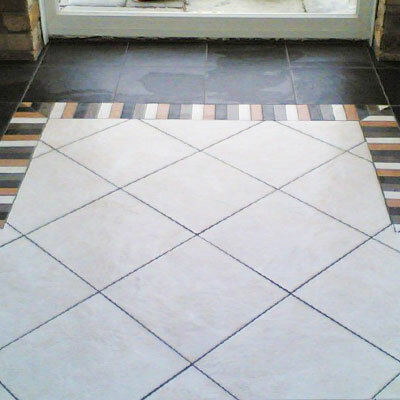 Conservatory floor with an outer edge black tile, inner is a cream tile and mosaic border cut to divide colours. All porcelain. Laid on concrete. Feature wall in new bathroom with sheet mosaics. Hidden wc cistern with removable lid and a hidden cupboard into attic space. 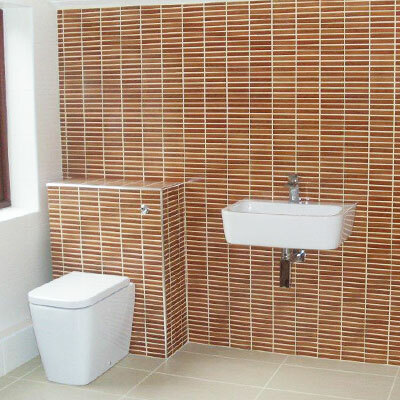 Other walls in white and floor tiles in cream porcelain. 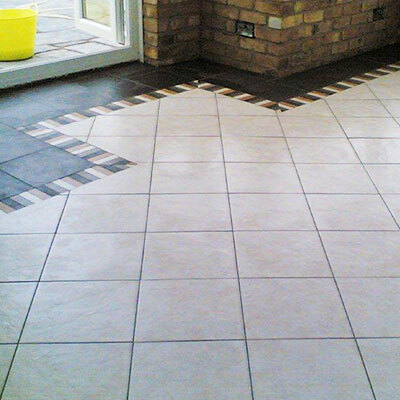 Walls in white porcelain and floor tiles in cream porcelain. This is other side of feature wall bathroom.